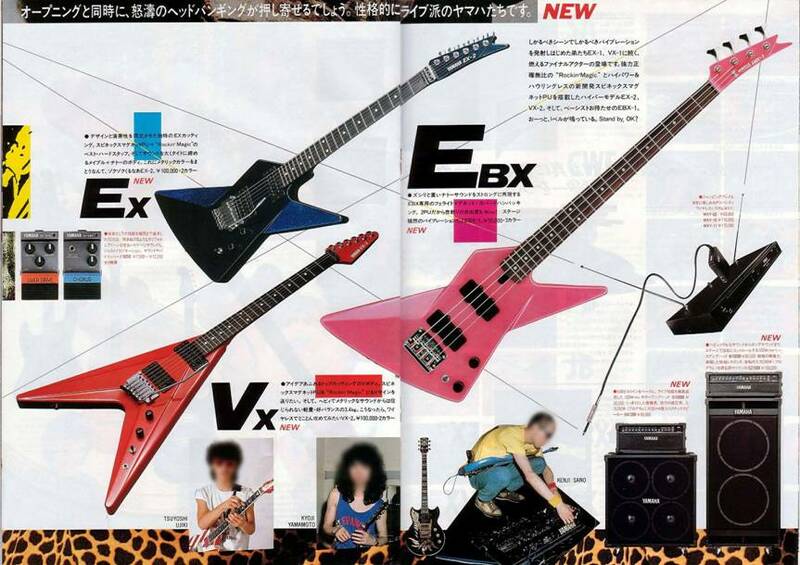 These are Yamahas Explorers and Flying Vs. Information on these guitars is quite hard to come by and pictures particularly of the EXs are scarce. What we do know is that four models were launched in October 1985 and production lasted about a year. 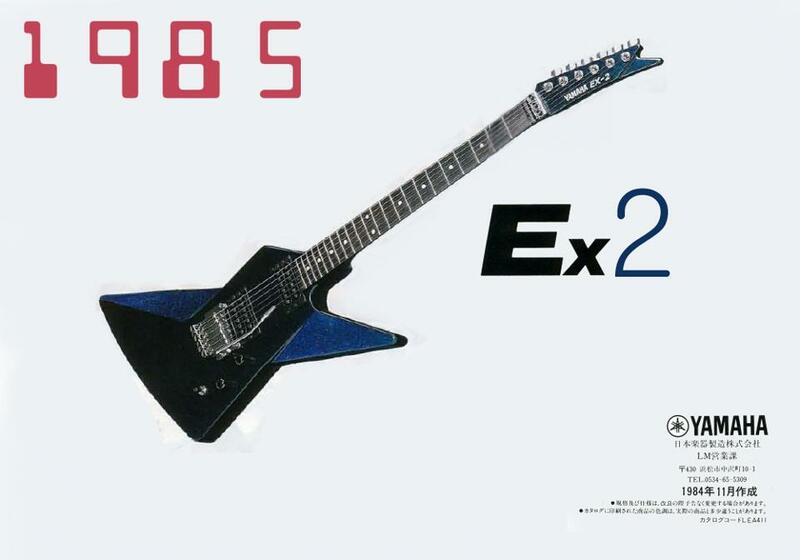 The four models are the EX1 the EX2 the VX1 and the VX2 only the EX2 is detailed in the Yamaha Archives. 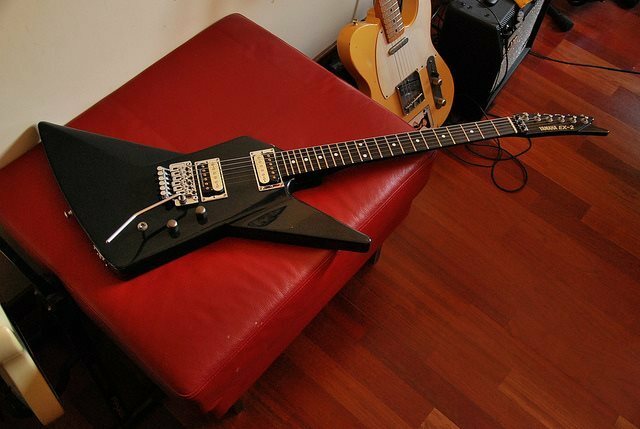 It is fair to assume that these guitars are the same basic specifications the EX and VX differing only in body shape. 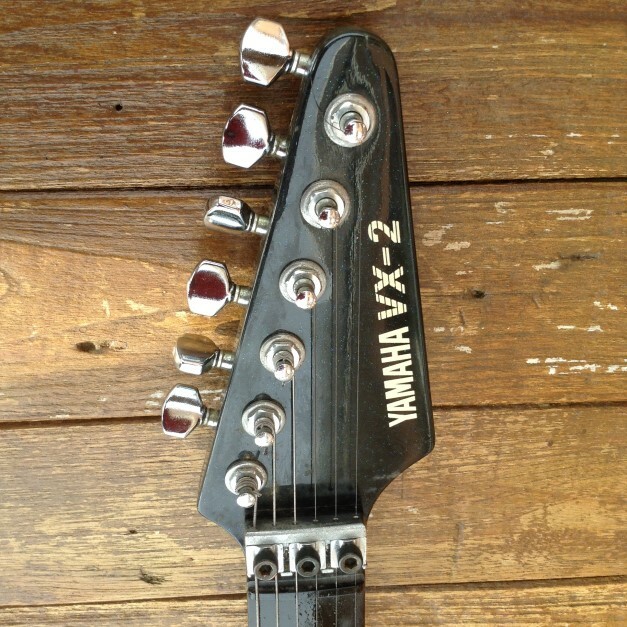 The models 1 have traditional trems and nuts and the 2s have Rockin Magic trems and locking nuts. The 2s have coil taps and it suggested that the 1s don't I have no proof that the 1s don't. 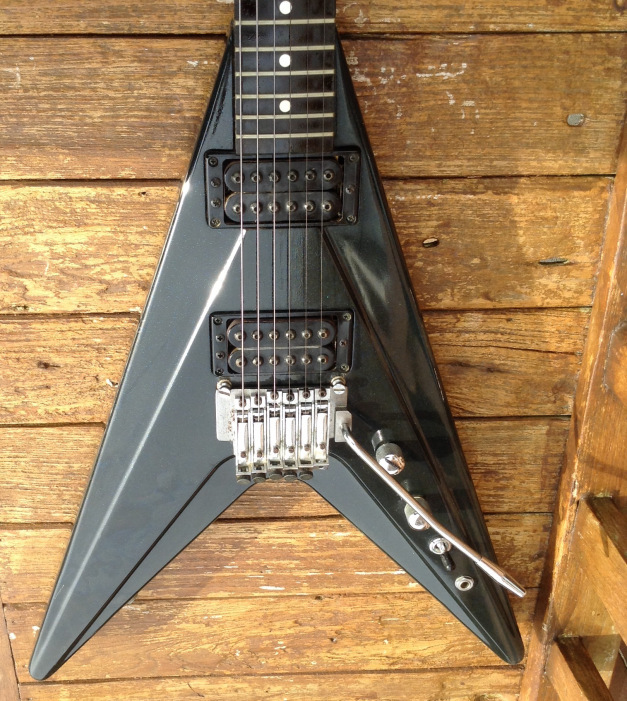 I have some information from a seller on Reverb who is selling a VX1 and a VX2, the VX1 definitely doesn't have a coil tap, he also states that both his guitars have the original pickups and that they are Seymour Duncan SH8 Invaders. 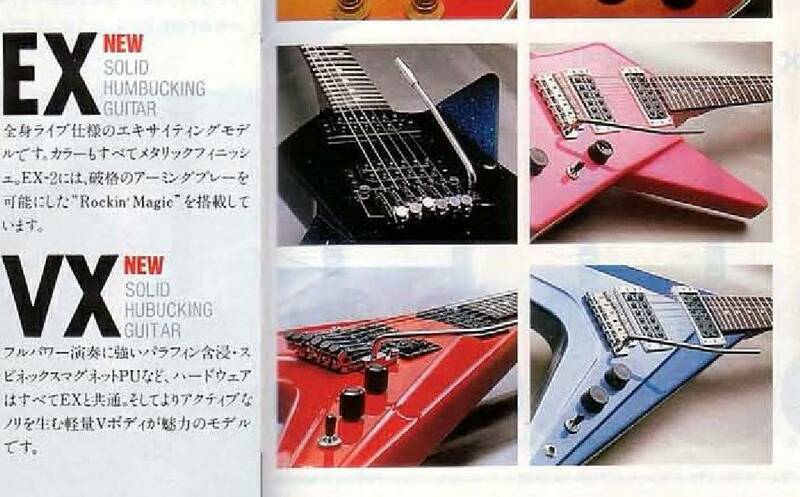 Does this mean that some Seymour Duncans are Spinex pickups? The 2s on the left and the 1s on the right showing clearly the different bridges. 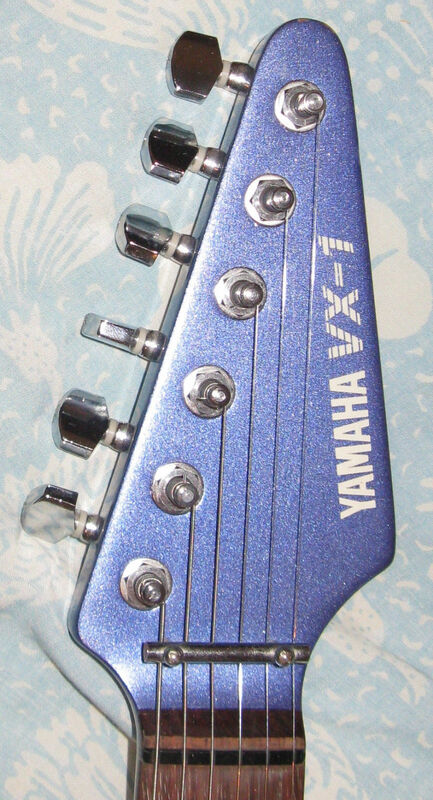 The VX 1 and 2 headstocks showing the different nuts. Known colours for other models EX1 Pink VX1 Blue VX2 Red what other colours there are I don't know. I have only three pictures of the EX models other than the catalogues above. 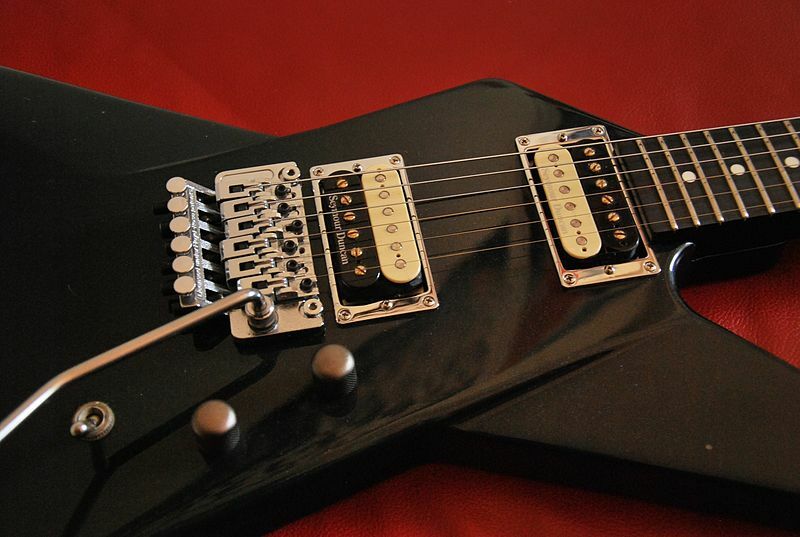 Some VX Pictures, there are a few more pictures of these about. 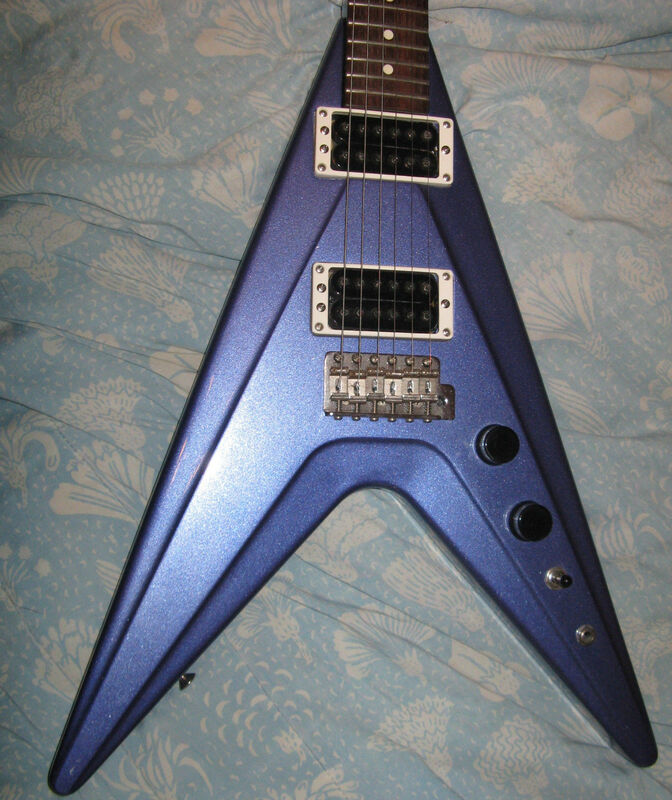 This VX1 sold on Ebay in 2015 for $500. 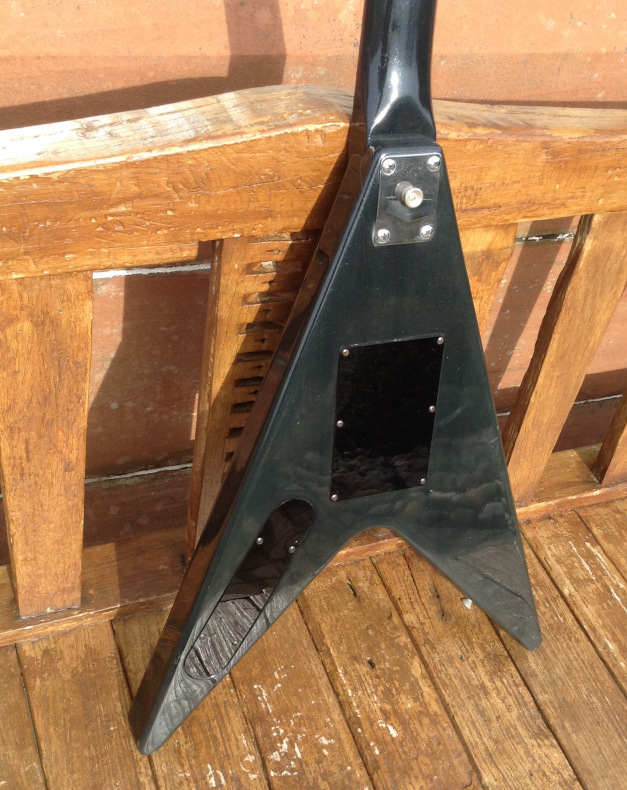 Front and Back of a VX2 body. Any additional information on these would be much appreciated.